We are engaged in offering a qualitative range of Electrolyte Analyzer. 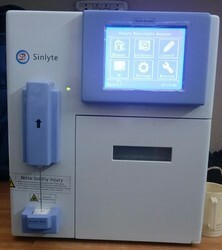 This Electrolyte Analyzer is extensively used for measuring electrolyte in serum, plasma, urine and samples in dialysis patients. This product is manufactured using high-end technology and well-tested components. 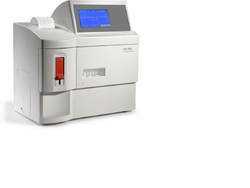 Clients can avail this analyzer from us at affordable prices. - Technology: Ion Selectivity Electrode. - Robust system with built-in stabilizer. - Built in Shaker with variable speed & duration. - Results printing in matrix mode format. Na, k, cl, ca analyser. Fully indigenous . No import. Life time availability of parts and reagents. Our company has gained name and fame in presenting Electrolyte Analyzer.